Comptroller Susana Mendoza came out swinging on Tuesday, blaming Governor Bruce Rauner for the state's financial problems. CHICAGO (WLS) -- There's a new war of words in the state's budget crisis. 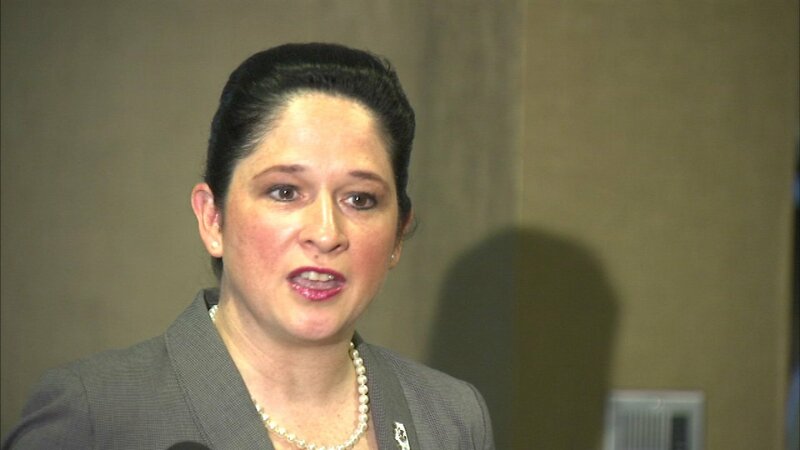 Comptroller Susana Mendoza came out swinging on Tuesday, blaming Governor Bruce Rauner for the state's financial problems. "I'm not critiquing the governor because he is a Republican, I'm critiquing the governor because he is the worst governor to ever serve this state," Mendoza said. While Illinois' comptroller announced Tuesday that her office has now paid more than $235 million in past bills owed to vendors who serve the elderly. Mendoza said that legally, the lack of state budget prevents her office from allocating any more. "It's not just a number on a spreadsheet. That number represents real people," Mendoza said. People like employees and their clients at Ashley's quality care, an agency that provides home care for the elderly. Ninety percent of Ashley's funding comes from the state. The budget crisis has forced owner Frankie Redditt to lay off most of her staff. Those who remain work for free and have for several months. "I'm just asking the governor have a heart, have some type of compassion to the people knowing that these are people, we are not animals we work every day, we pay our taxes, we do the things we are supposed to do," Redditt said. Mendoza said it's time for the governor to do what he is supposed to do and govern. But Dep. Gov. Leslie Munger - who lost her former job to Mendoza - says it is unfair to pin the state's financial crisis on Rauner, a crisis she says was years in the making before he took office. "This is not a new problem. This is bad government, bad planning, terrible finances for a long, long time. To lay this on the governor is dishonest, a lot of people had their fingers in it," Munger said. Since he took office two years ago, Rauner said he is willing to sign off on a budget that includes tax increases as long as Democrats agree to union and worker's comp reforms. Some Democrats say they would not be surprised if the budget impasse lasts until the next gubernatorial election.